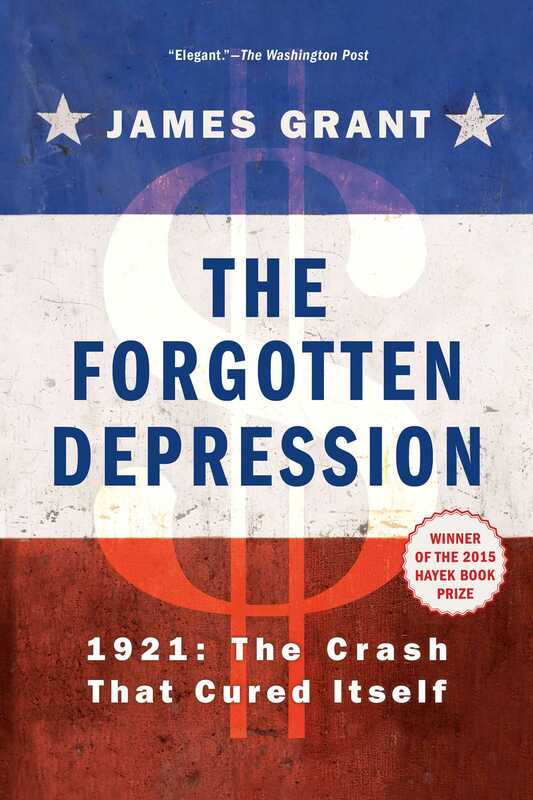 James Grant’s story of America’s last governmentally untreated depression: A bible for conservative economists, this “carefully researched history…makes difficult economic concepts easy to understand, and it deftly mixes major events with interesting vignettes” (The Wall Street Journal). In 1920-1921, Woodrow Wilson and Warren G. Harding met a deep economic slump by seeming to ignore it, implementing policies that most twenty-first century economists would call backward. Confronted with plunging prices, wages, and employment, the government balanced the budget and, through the Federal Reserve, raised interest rates. No “stimulus” was administered, and a powerful, job-filled recovery was under way by late 1921. Yet by 1929, the economy spiraled downward as the Hoover administration adopted the policies that Wilson and Harding had declined to put in place. 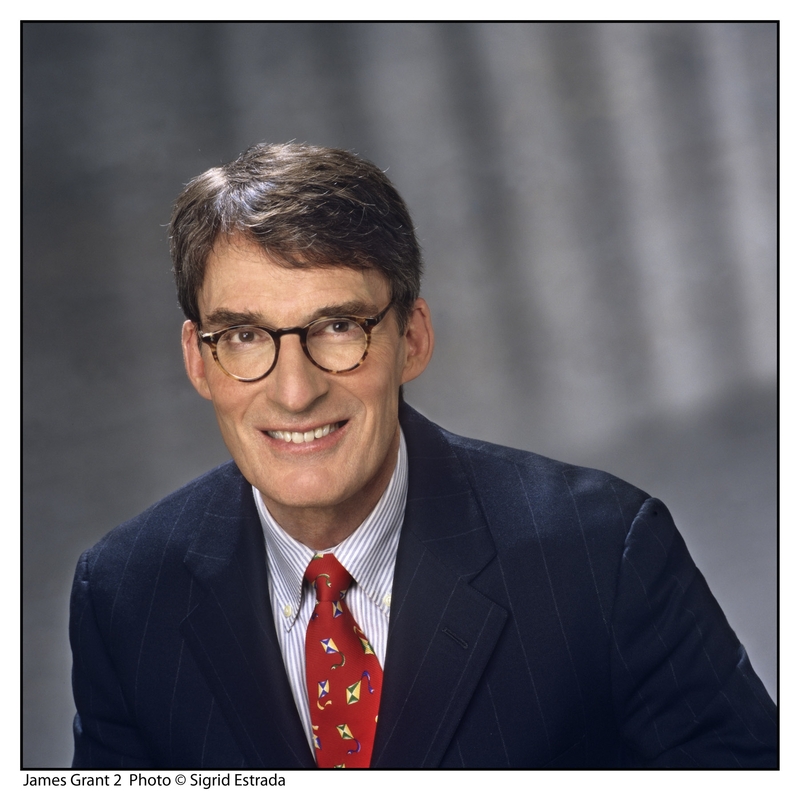 In The Forgotten Depression, James Grant “makes a strong case against federal intervention during economic downturns” (Pittsburgh Tribune Review), arguing that the well-intended White House-led campaign to prop up industrial wages helped turn a bad recession into America’s worst depression. He offers examples like this, and many others, as important strategies we can learn from the earlier depression and apply today and to the future. This is a powerful response to the prevailing notion of how to fight recession, and “Mr. Grant’s history lesson is one that all lawmakers could take to heart” (Washington Times). The coda to the murderous Great War of 1914–18 was an influenza pandemic even more lethal than the war itself. But the wounded world of 1919 could count one saving grace, at least. The oft-predicted postwar depression had failed to materialize. Quite the contrary: Business was booming. Here was a most pleasant anomaly. History taught that peace would bring depression. Such had been the experience of America after both the War of 1812 and the Civil War. The Great War was a world war. No doubt, many reasoned, a worldwide economic adjustment would prove even more disruptive than the slumps that had followed more isolated conflicts of the past. In the 1912 presidential election, Debs drew 6 percent of the popular vote on the Socialist ticket, the best showing by any left-wing candidate in any presidential contest before or since.5 He finished fourth. William Howard Taft, the 300-odd-pound Republican incumbent, campaigning on the doctrine that “[a] National Government cannot create good times” (but could, through ill-advised policy, institute bad times), won a mere two states, Utah and Vermont.6 He came in third. Theodore Roosevelt, who had bolted from the GOP to preach that government could, in fact, effect the very improvements that Taft resisted, pledged to “use the whole power of government” to resist “an unregulated and purely individualistic industrialism.”7 He placed second. Candidate Wilson vowed to tame the “trusts,” rein in the big Wall Street banks, lower tariffs and—to compensate for lost revenue from reduced import duties—tax the rich. President Wilson, having beaten the divided GOP, proved as good as his word. By the close of his first year in office, the former president of Princeton University had presented the nation with an income tax and a central bank (in name, a kind of decentralized central bank). The federal government would never again lack the means of financing itself. But the Morrisons and Babsons had failed to reckon with the long-thwarted American consumer. Purchases patriotically deferred during the year and a half of U.S. belligerency were now exuberantly rung up. War or not, Americans had continued to drive their Fords and Chevrolets and Buicks (gasoline sales never wavered during the ostensibly luxury-free duration of the conflict). Now, with the peace, the people demanded silk shirts, new cars and a little fun. Flyaway prices were symptoms of wartime financial disorder. Immense public borrowing, and the easy money to accommodate it, may or may not have been a necessary evil, but the Armistice now rendered it unnecessary. When governments stopped printing money for the very purpose of destroying life and property—when production and orthodox banking made their welcome reappearance—come this happy day, the experts promised, prices would certainly tumble. If Saturnalia it was, the inflationary boom of 1919 was a bitter and unhappy one. Wages couldn’t seem to keep pace with prices, nor prices with costs. A pair of sensible shoes had cost $3 before the war. Now they sold for $10 or $12. Bankers scornfully spoke of the shrunken “fifty-cent dollar.”20 Pensioners, judges, professors—anyone on a fixed income—suffered a crippling loss in living standards. Class rose up against class and interest group against interest group. Many were the local and particular grievances that pushed workers and managements to break off negotiations and mount (or suffer) a strike. One common thread was the workers’ loss of real income to sky-high prices. Another was radical politics. Still inspired, the would-be vanguard of the socialist revolution marked May Day with the mailing of 30 letter bombs to members of the American Establishment. Lacking adequate postage, most of the bombs went undelivered. Reinspired, or refinanced, the revolutionaries tried again.26 Among their targets was Wilson’s energetic and ambitious attorney general, A. Mitchell Palmer. In November, 400,000 unionized bituminous coal miners walked off the job in defiance of a federal court injunction. During the war the union, led by John L. Lewis, had submitted to such wages as the operators vouchsafed to pay. Now the miners demanded a 40 percent increase (their opening demand was 60 percent, along with the nationalization of the mines); since 1914, as the Department of Labor did the sums, the cost of living in the mining districts of Brazil, Indiana, and Pana, Illinois, had jumped by almost 80 percent. The typical mining family earmarked 37 percent of its budget for food, the cost of which was soaring. General Motors Corporation, founded in 1908 and already an American blue chip, registered sales of $270 million in 1918 and $510 million in 1919;29 it earned $15 million in 1918 and $60 million in 1919; it had 49,118 employees in 1918 and 85,980 in 1919.30 There was no doubting the boom in Detroit. GM marked the first full year of peace with a burst of energy—prices, after all, were on the fly. It got into the tractor business, diversified into refrigerators, founded the General Motors Acceptance Corporation and purchased a controlling interest in the Fisher Body Corporation. And it was in 1919 that the GM executive committee approved construction of an imperial new headquarters. The Durant Building, named for the founder, Billy Durant, would have 15 stories, 4 wings, 1,700 offices and 30 acres of floor space. As the world’s biggest office building at the time, it would cost a suitably imposing $20 million. Just back from the war, Harry Truman, a former army artillery captain, resolved to do three things. He would quit farming, marry Bess Wallace and open a men’s furnishings store in Kansas City, Missouri. And each of these things he proceeded to do, the store in partnership with his wartime buddy Eddie Jacobson. Truman & Jacobson opened for business late in November 1919, at the northeast corner of Twelfth and Baltimore Streets. The location was prime—opposite the city’s biggest and newest hotel, the Muehlebach—and the capitalization seemingly ample. Truman contributed some $15,000 in equity, much of which he had realized from the sale of livestock and machinery at the Truman family farm in Grandview. Jacobson chipped in between $900 and $1,000. Bank loans financed the inventory. Truman and Jacobson set the name of their enterprise in colored tiles in the Twelfth Street entryway. The partners were there early and late, opening at 8 AM and closing at 9 PM, six days a week. They sold shirts, hats, leather gloves, belts, underwear, socks, collar pins, ties and detachable collars. It was a dull customer who couldn’t guess where the principals had spent the year 1918. On prominent display was a four-foot loving cup engraved to “Captain Harry” from the boys of Company D, 129th Field Artillery. Inflation fooled almost everyone, including—1,100 miles to the east—the once famously conservative National City Bank, forerunner of today’s Citigroup. Safety had been City’s stock in trade: It catered to “timid” people, a bemused federal examiner reported in 1891, “who feel that their money is a little safer in this bank than it would be in government bonds.” This was at the very beginning of the James Stillman era. A master at the bankerly art of saying “no,” Stillman could also prudently say “yes.” By 1905, City was the nation’s largest bank, with assets of more than $300 million, 27 percent more than the runner-up, National Bank of Commerce. It was hugely profitable besides. It was not infallible. On the eve of the Bolshevik Revolution, it set about building Russian branches, gathering Russian deposits and investing in czarist bonds. “[O]f all the foreign countries,” declared Stillman’s protégé, Frank Vanderlip, in 1916, “there is none that offers a more promising outlook than Russia.” Vanderlip, the second in command, lost his job when the victorious Communists dealt the bank its first lesson in sovereign political risk. Absent Vanderlip (Stillman had died in 1918),34 the bank sailed rudderless into the 1919 boom. Soaring prices beguiled borrowers and lenders alike. To finance rising inventories, customers clamored for credit, and City profitably loaned. The Federal Reserve Bank of New York would lend to City at 4.75 percent, whereas City could lend to its customers at 5.6 percent. In the second half of 1919, City’s book of business loans expanded by 30 percent. Cuba seemed an especially promising theater of operations to the bank that made its offices at 55 Wall Street. The price of raw sugar, Cuba’s top export, had vaulted to 22 cents a pound in the spring of 1920 from four cents a pound in the fall of 1918. American housewives, the Wilson administration and the National City Bank were now of one mind: Sugar prices were going to heaven. If this giant of Wall Street could be duped by the inflationary distortion of values, no less confused were the nation’s farmers. Never before had they sweated so little to earn so much. They had planted fence post to fence post during the war, and they retrenched not at all in the peace. Acreage planted to wheat in 1919 reached a record that stood until World War II. Tractor sales soared in tandem with crop prices. “Power farming” became the motto of a new personage on the American rural scene, the mechanized agricultural businessman. The land on which the likes of Rag Apple regally grazed was by now in its own bull market. As crop prices were zooming, farmers and bankers reasoned, so should the capitalized value of the land on which the seeds were planted. In 1919, black Iowa corn ground fetched prices some 40 percent higher than the prewar average. In 1920, the premium was 70 percent. "Mr. Grant is an excellent writer, and The Forgotten Depression is a carefully researched history of this dramatic episode. . . . Mr. Grant's chronicle makes difficult economic concepts easy to understand, and it deftly mixes major events with interesting vignettes. . . . People who believe in the inadequacy of the current macroeconomic orthodoxy will find him to be an articulate spokesman." "[An] amusing economic history of the Progressive Era."